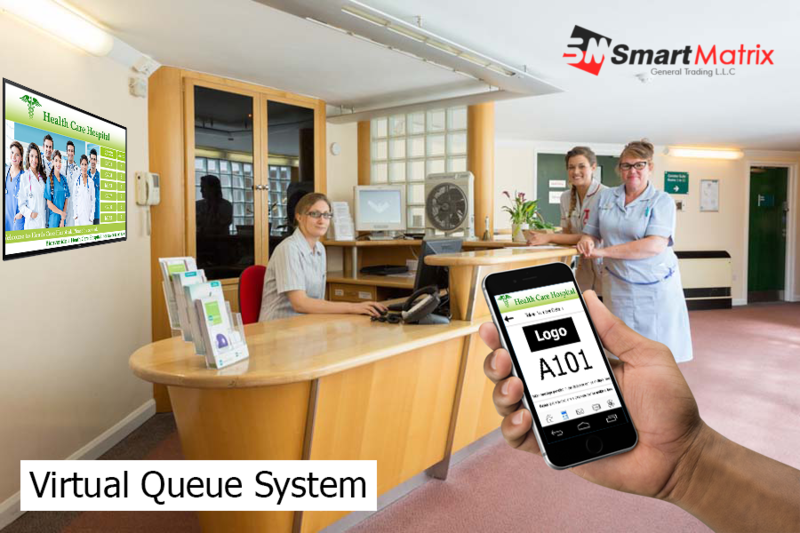 EaZy-Q, a renowned product of Smart Matrix facilitates banks and other crowded areas with virtual queue management system where the customers can join the queue without their physical appearance. They can request for their bookings through online or by visiting website portals by sitting at their respective places. The process originates a better and smooth environment as the customers does not have to join the long and crowded queues. The customer gets notified via a message, as queue management system communicates through a notification when their turns arrive. This advanced feature has successfully reduced the crowd of people at big organizations, as the function updates them with the notification of their turn, wherever they are. Customers are only welcomed for their services when they are ready to be served. Virtual Queue Management has widely shown its result in restaurants as well. Customer while visiting a restaurant expects for a services where he/she does not has to face any irritation. Long and crowded queue are tiring as well as irritating. Therefore, with virtual queue management customers do not have to stand and waste their time in long queues. At the time of placing an order, the customer is handover with a token number or a virtual ticket. In the mean time, the customer can sit or hang around instead of waiting for their order to come. The customer can track its order status in the queue via the main display where the token numbers are displaying as per the order placed. The display screens also showcase the counter number of the respective token numbers, so that the customers should know from where they have to collect their order. This creates no confusion regarding the orders as the system works on first come first serve basis. This technique will tremendously reduce the rush of customers around the counter asking for status updates.